New York: President Donald Trump has determined how he wants to approach the Iran nuclear deal — which he has called the worst agreement ever negotiated by the United States — but has not told even his top national security advisers what his decision is. Secretary of State Rex Tillerson said Wednesday that Trump had not informed him or others in the administration about his decision and had refused to share it with British prime minister Theresa May when she asked him about it. Tillerson said he had been surprised when Trump publicly announced he had reached a decision. The secretary told reporters it would take some time to prepare to implement the decisions. He gave no hint as to the direction Trump would take, but repeated the president's long-standing position that the deal does not address troubling non-nuclear behavior despite the hopes of those who negotiated it. Tillerson spoke to reporters following a meeting of the parties to the nuclear deal, including Iranian foreign minister Mohammad Javad Zarif. The meeting marked the highest-level US-Iranian encounter since Trump became president. European Union foreign policy chief Federica Mogherini, who hosted the meeting, said all parties to the accord — including Tillerson — agreed it "is working and is delivering for its purpose." Tillerson did not dispute Mogherini's characterization but said that while Iran might be meeting its obligations to the letter of the deal, it is violating its spirit. "Perhaps the technical aspects have (been met), but in the broader context the aspiration has not," Tillerson said. 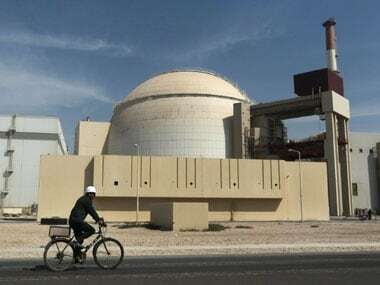 He later conceded that reports from the UN nuclear watchdog, the International Atomic Energy Agency, "continue to confirm that Iran is in technical compliance with the agreement." 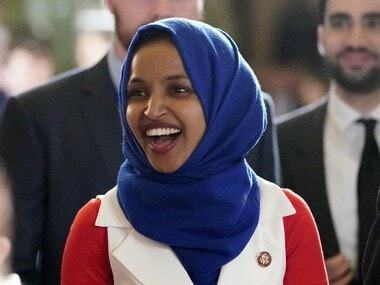 However, he said the Trump administration was determined to address the flaws in the deal, the most serious of which are so-called "sunset provisions" that allow Iran to resume some aspects of its nuclear program after certain periods of time. Those provisions relate to enriching uranium to levels near those needed to produce the fuel for a nuclear weapon, as well as other activities that limit Iran's atomic capabilities at various sites. "One can almost set the countdown clock to Iran resuming its nuclear activities," Tillerson said. He added that the world was made less safe by the Iran agreement as it stands, particularly at a time when the US and its allies are being threatened directly by a nuclear-armed North Korea. In her comments, Mogherini also alluded to North Korea, but made the opposite argument, saying "the international community cannot afford to dismantle an agreement that is working." Mogherini declined to say whether Tillerson had pledged to remain committed to the deal, but said the European Union is committed to preserving it. She suggested that US complaints about Iran's troublesome non-nuclear activities should be discussed in a different forum. The meeting in the UN Security Council chambers followed two days of increasingly hostile rhetoric between Trump and Iranian president Hassan Rouhani, as well as Trump's surprise announcement about a decision on the nuclear deal. "I have decided," he declared to reporters earlier Wednesday, a day after launching a scathing attack on Iran and its government in his address to the UN General Assembly. Trump's withering critique Tuesday included an accusation that Iran's government "masks a corrupt dictatorship behind the false guise of a democracy," while ruthlessly repressing its people and exploiting the limits of the nuclear deal. "We cannot let a murderous regime continue these destabilizing activities while building dangerous missiles," Trump said. "And we cannot abide by an agreement if it provides cover for the eventual construction of a nuclear program." In response, Rouhani lashed out at "ignorant, absurd and hateful rhetoric" in Trump's UN speech. 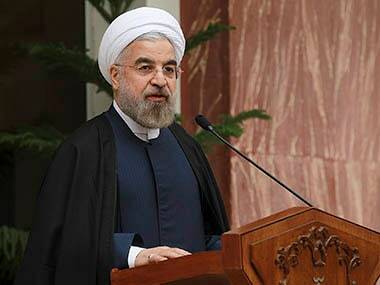 Addressing the General Assembly on Wednesday, Rouhani said his country won't be the first to violate the nuclear agreement, "but it will respond decisively to its violation by any party." In a dismissive jab at Trump he said, "It will be a great pity if this agreement were to be destroyed by rogue newcomers to the world of politics." "By violating its international commitments, the new US administration only destroys its own credibility and undermines international confidence in negotiating with it or accepting its word or promise," Rouhani said. That echoes criticism even some of America's allies have leveled at a time when the United States hopes to draw North Korea into a negotiation over its rapidly expanding nuclear arsenal. Rouhani then told reporters at a news conference that the Iranian people are waiting for an apology from Trump for his "extremely offensive" rhetoric and baseless allegations. He said Trump is seeking "an excuse" to pull out of the nuclear deal and it would be a "waste of time" for him to meet the president. Trump has sent strong signals that he could walk away from the seven-nation agreement, which would potentially lead to new US sanctions on Iran and its international trading partners. The Iranians, in turn, have threatened to respond to any US pullout by restarting nuclear activities that could take them closer to bomb-making capability. It wasn't clear if Trump had made a final decision to leave or stick with the Iran deal. On several other issues over his presidency, he has teased reporters with the idea that a major verdict might be imminent, only to delay announcements for weeks or months. 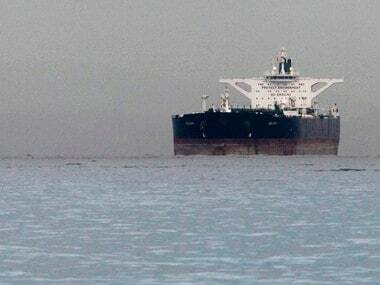 Trump must next certify by 15 October if Iran is complying with the deal, and officials have said Trump may use that occasion to declare Iran in violation. In any event, the US-Iranian exchanges augured poorly for the diplomatic meeting, although Tillerson maintained that the atmosphere had been "very open and candid." "There was no yelling and we didn't throw shoes at one another," he said. "It was not an angry tone at all, it was a very, very matter-of-fact exchange about how we see this deal very differently." A year ago, such a get-together would have been considered routine as nations strove to implement an agreement that curtailed Iran's nuclear activity in exchange for an end to various oil, trade and financial restrictions on the country. In the current environment, it is anything but ordinary. Trump has said repeatedly that he is inclined not to certify Iranian compliance after having twice found the country compliant at earlier deadlines. Denying certification could lead the US to reintroduce sanctions, which in turn could lead Iran to walk away from the deal or restart some nuclear activities it curtailed two years ago. The rhetorical threats have worried the other countries who are part of the agreement: Britain, China, France, Germany and Russia. The Europeans, in particular, have expressed their disapproval of Trump's threats and talked about trying to lobby the US to abide by the accord. If the US tries to activate globally enforceable sanctions on Iran again, European countries could balk, another potential repercussion Trump must weigh.